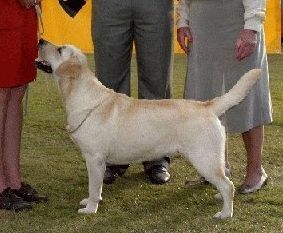 Gertie was a Specialty Best in Show winner and a dream to live with. Gertie was Jay's introduction to the dog world and he couldn't have been introduced better. His first dog, his first champion, his first Best in Show, his first Specialty. Gertie left us heartbroken when she crossed over after a short terminal illness in June 2009.